Welcome to the second annual installment of “Top 25 Under 25.” The premise and methodology are both fairly straightforward: I will consider a player’s body of work in the majors, the minors (to a lesser extent), his pedigree, and his potential for growth. There are a plethora of young talented players in baseball but not all of them are well-known, so I’ll look to highlight the best of those youngsters in this series. To be eligible for the list, a player has to have made at least one appearance in the big leagues (so no minors-only players; apologies to Vlad Guerrero Jr. and Eloy Jimenez). I will be evaluating players on a combination of their projected upside and how they have already performed in the major leagues. After each player, I will list their position, team, and age on Opening Day 2019, and, if they were on the list last year, their position. These biceps help him generate power. He does not hit for a great average and strikes out a lot, but when he hits the ball, it goes quite far. In 2018, he had the 14th-highest HR/FB ratio (25%, that’s in the 96th percentile), just below Giancarlo Stanton and above guys like Mike Trout, Nelson Cruz, and Jesus Aguilar. The power is for real and if he develops his hit tool then watch out, America. Devers hit just .240/.298/.433 last season but still earns a spot on the top 25 under 25 in no small part since he’s just 22 years old. It feels like Devers has been around for a long while when the reality is that he’s a spring chicken—there are a handful of prospects on MLB Pipeline’s top 100 that are older than Devers and still have yet to make their MLB debut. Through 170 games, he’s triple-slashing .254/.311/.449 with 31 HR. He needs to learn how to hit left-handed pitching, but it appears that the Sox are willing to ride with the youngster. I fully expect him to show up higher on this list prior to the start of 2020. I ranked him too high. 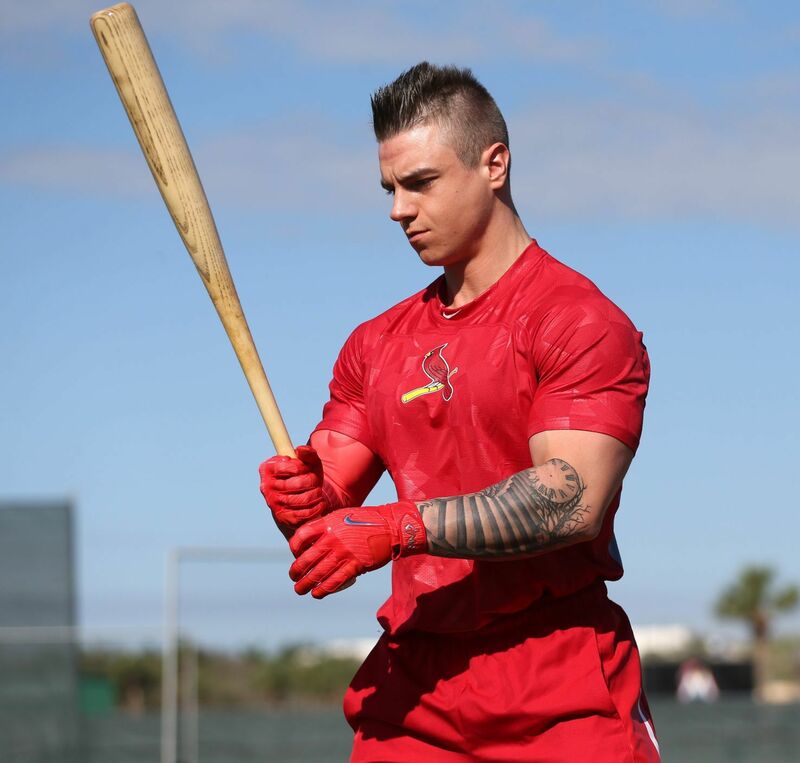 After triple-slashing .231/.338/.412 with 8 HR in 54 games in 2017, he .235/.315/.400 with 17 HR and an MLB-high 217 strikeouts in 2018. I still believe in the potential (and he’s still just 23 years old), but Moncada no longer gets the benefit of the doubt from me. Osuna was shipped to Houston halfway through last season while he was serving his 75-game suspension for domestic violence. That alone is not the reason he dropped eight spots but the missed time is certainly part of it. The fact of the matter is that Osuna is a really good pitcher; he has a 2.78 ERA in 245.2 relief innings since debuting with the Blue Jays in 2015. He has struck out 28.4% of the batters to face him while walking hitters at a 4.5% clip. He has also amassed 116 saves over the past four years and if he keeps this rate up for the next decade and change (which he probably won’t, but a man can dream), he has a shot at breaking Mo’s all-time saves record. There’s gotta be something in the water that makes good, young relief pitchers make terrible decisions. The aforementioned Roberto Osuna was suspended for almost half the season for a domestic violence allegation. Josh Hader was given a lot of heat for some racist, sexist, and homophobic tweets that were sent out years ago when he was a teenager. Still, a 16-18-year-old kid should know that bigotry in any form is not okay. Laureano figures to slot into center field every day for the Athletics and hit near the top of the lineup. Perhaps the most overlooked part of his skill set is that he doesn’t just do it with the glove; the 24-year-old Dominican slashed .288/.358/.474 with 5 long balls and 7 steals in just 48 games in 2018. Laureano makes an impact with the bat, with the glove, and on the basepaths. It’s unfortunate he plays for the Athletics not because the team will not be competitive—it will—but because there tends to be an East Coast bias, meaning Laureano will likely continue to be criminally underrated. Anybody who knows anything knows that I love players who play great defense and it’s a plus when they can mash at the plate. That’s why Kevin Kiermaier and Billy Hamilton are among my favorite players, but I like Jim Edmonds and Andruw Jones even more because they could also hold their own with the bat. Harrison Bader seems likely, like Laureano, to fall closer to the Edmonds/Jones end of the spectrum than the Kiermaier/Hamilton end. Marquez strikes me as a guy who is always going to underperform in comparison to his peripherals, mostly because he plays in the pitcher’s nightmare that is Coors Field. Even still, he threw 196 innings last year, compiling a 3.77 ERA, 1.20 WHIP, and 10.6 K/9. And he did it while throwing around half of his innings in Coors Field. When he was away from home, his ERA was actually under 3, indicating that Marquez might be even better than his numbers from last season. I’ve learned never to trust a pitcher in Coors Field but the fact that Marquez has appeared in this article two years running bodes well for his future prospects. I originally had Berrios up near Roberto Osuna, but when I looked at his numbers, I realized I did not quite understand how good Berrios has been over the past two seasons. He has posted back-to-back seasons of sub-3.90 ERA ball and, for the first time in his young career in 2018, struck out more than a batter per inning. He has also drastically improved his walk rate each season since debuting, cutting it all the way down to 2.9 BB/9 last season. And to top it all off, Berrios led baseball in complete games in 2018, throwing two. It’s unfortunate that Berrios runs out of eligibility for this list after this season because I have a feeling we would be seeing him a lot higher if he could make an appearance in 2020. After hitting just six home runs in 57 games for the Braves in 2017, Albies showed off his power in 2018, smacking 24 long balls in 158 games. This is coming from the same guy who hit just 16 homers over four entire seasons in the minor leagues prior to his MLB debut. His overall numbers suffered a little in 2018—each leg of his .261/.305/.452 got worse from 2017, and his walk and strikeout rates are trending in the wrong direction—but that does not mean that he isn’t still a complete stud. The Braves should be an exciting young team to watch over the next half decade, and Albies will be slotting in at the top of that lineup. Correa showed up at #1 on the list last season and falls to the bottom end of the top-10 prior to 2019. Not a whole lot has changed in terms of his skill set or abilities, but he has shown a lack of the best ability: availability. Over the past two seasons, Correa has missed 105 games, and it’s really difficult to move him any higher than this given that he hasn’t shown that he can stay on the field. You can make the case that a healthy Correa is one of the best players in baseball but that health has become a question mark and, for that reason, he checks in at #7. Okay, maybe the last part of that isn’t a plus, but it happened. Even still, Ohtani hit 22 HR in 104 games as a 23-year-old and also threw 51.2 innings with a 3.31 ERA, 1.16 WHIP, and 11.0 K/9. The only reason he isn’t higher after winning AL Rookie of the Year is that I’m not quite sure how he’s going to bounce back from the surgery. He has to rehab as both a hitter and a pitcher, and there’s no telling what is going to happen once he gets back on the bump after what will likely be more than a season without throwing to a major league hitter. Still, Ohtani is expected to DH while he rehabs his arm so we might get to see the Japanese Babe Ruth in action this season after all.